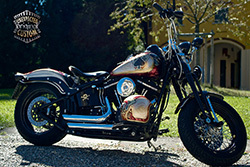 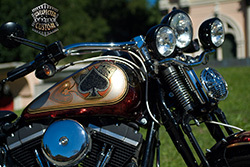 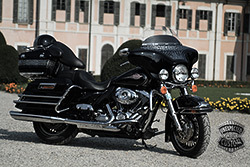 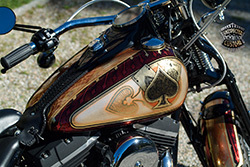 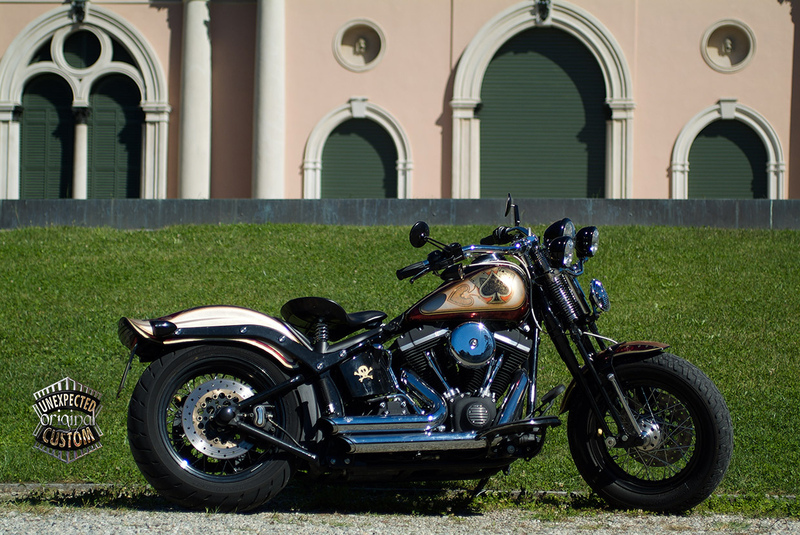 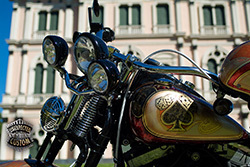 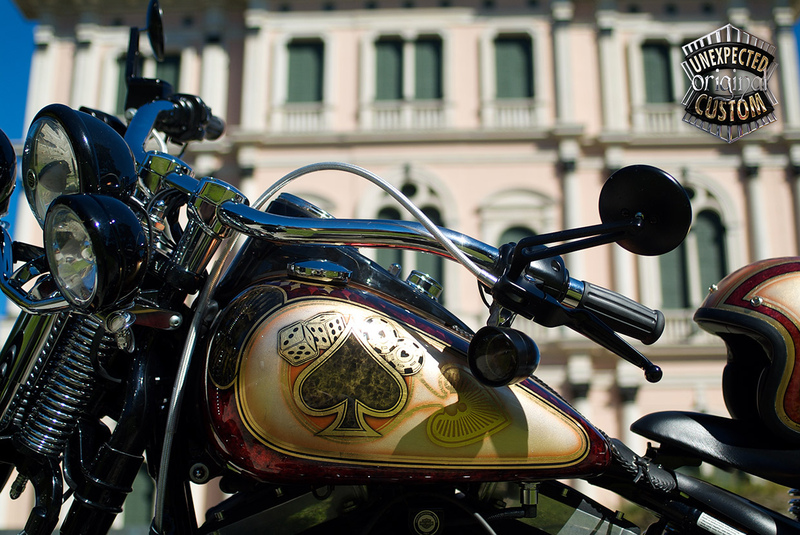 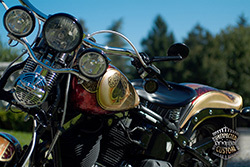 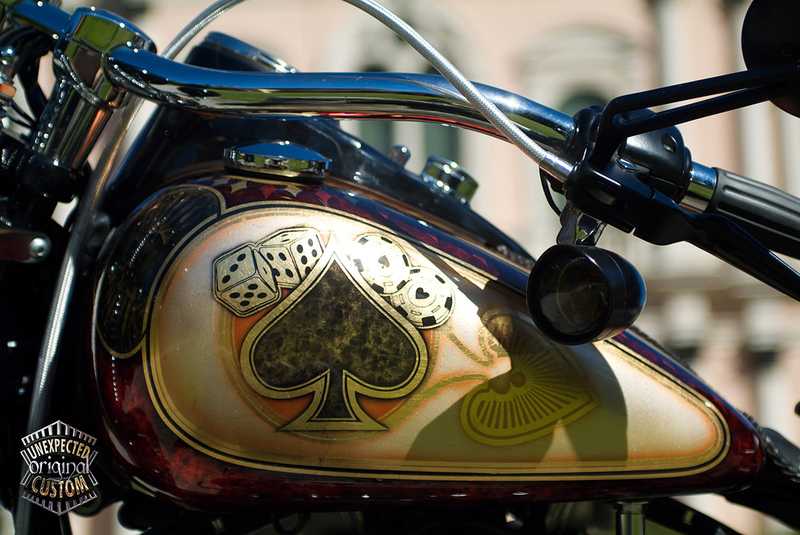 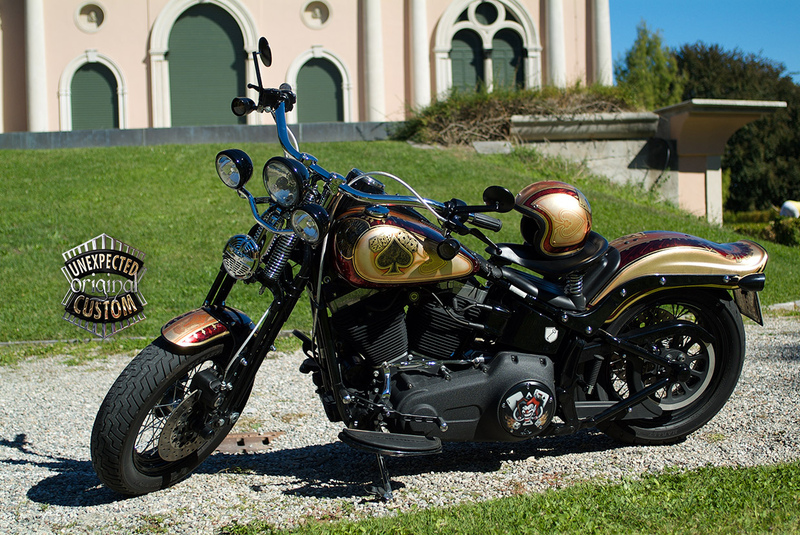 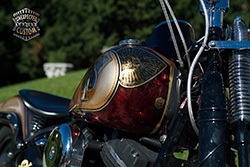 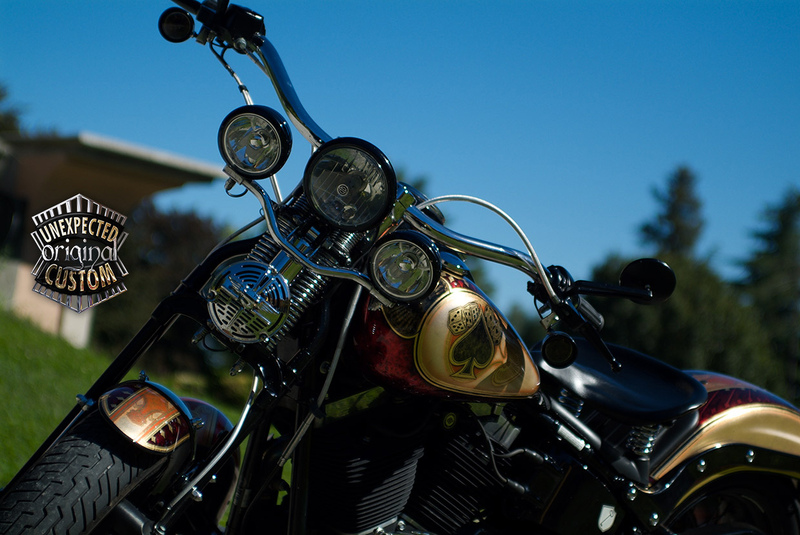 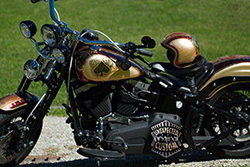 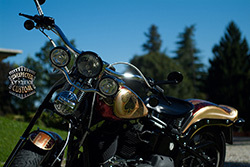 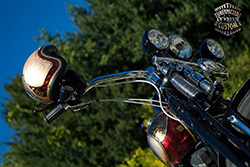 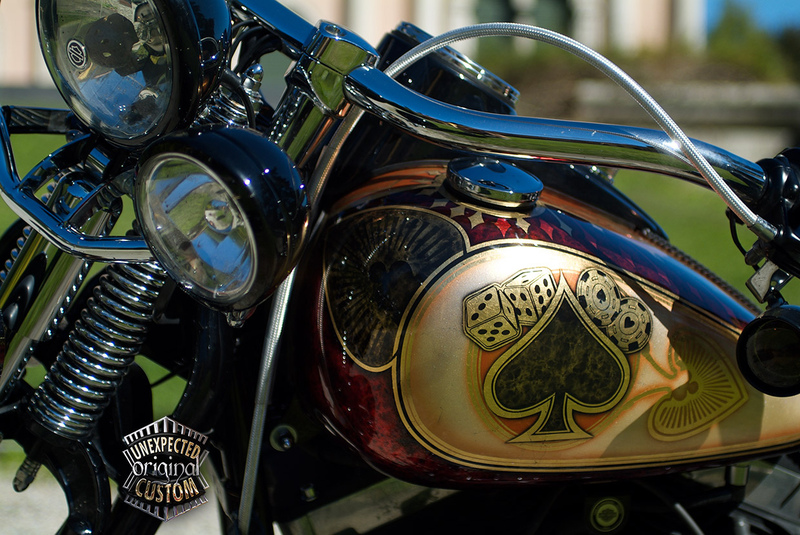 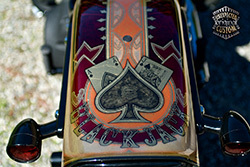 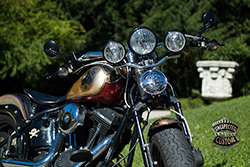 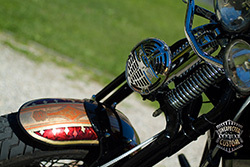 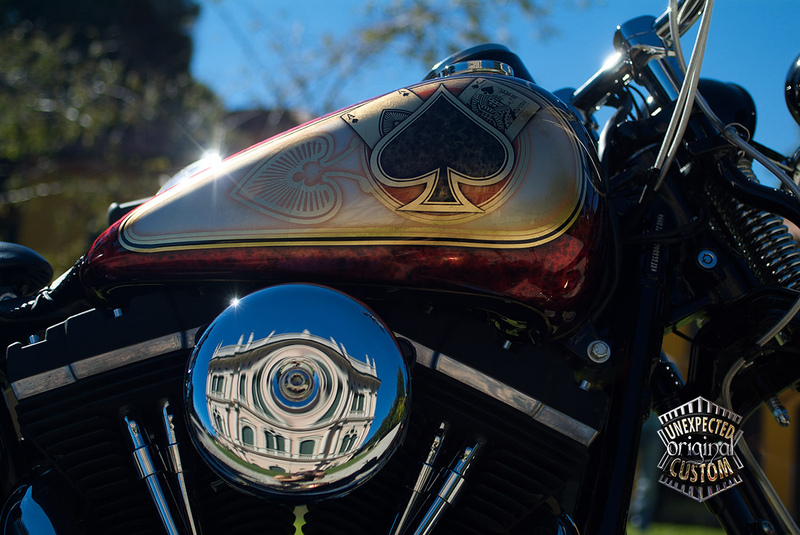 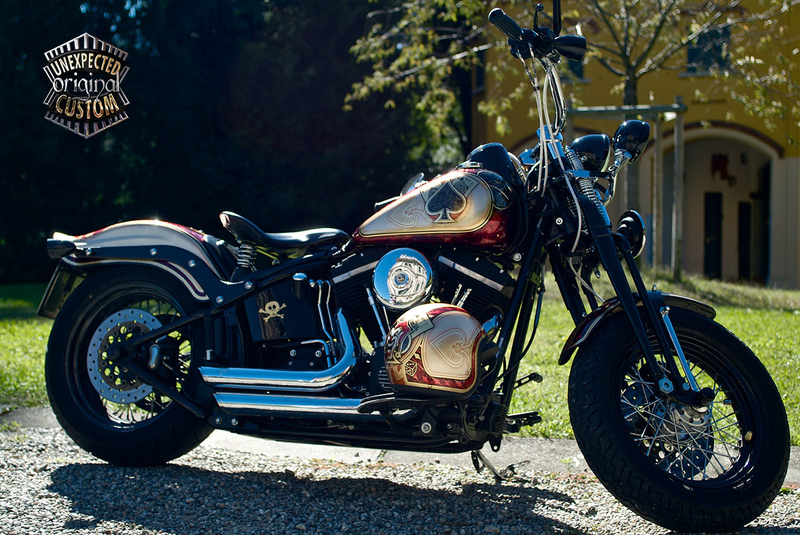 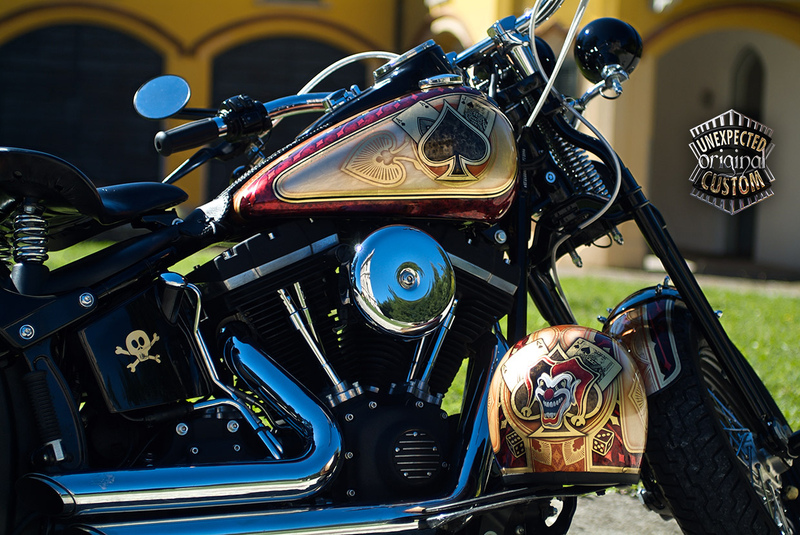 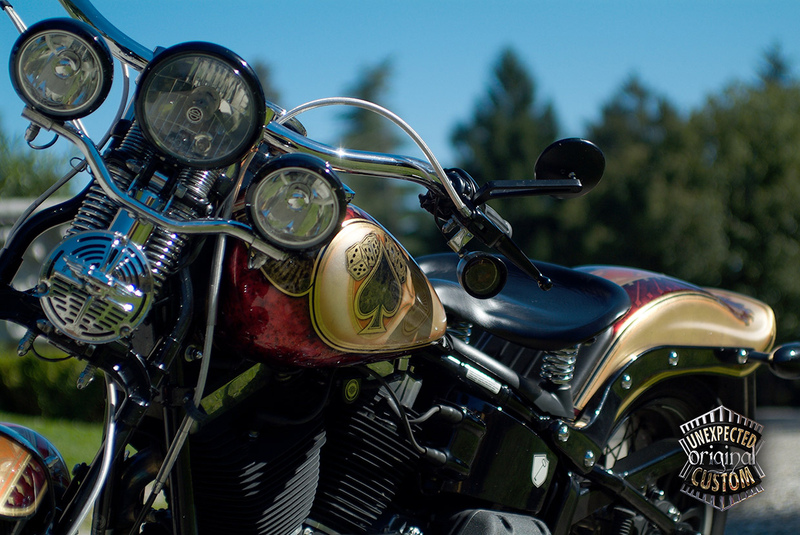 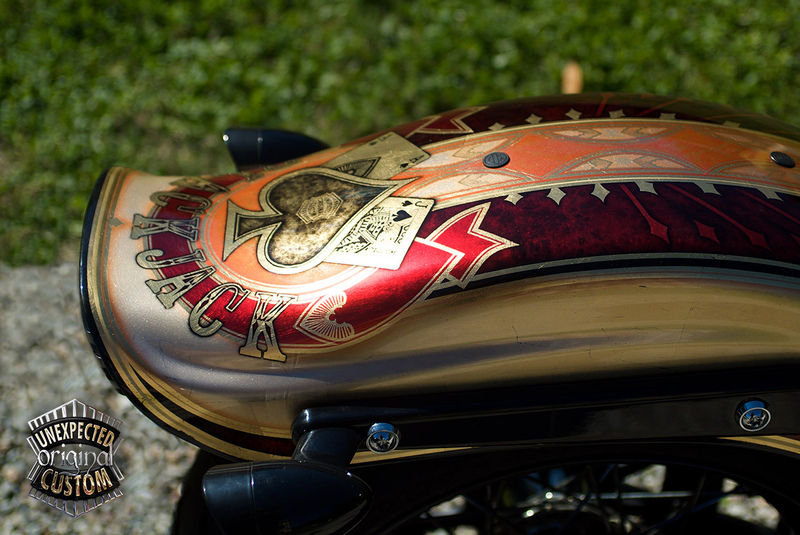 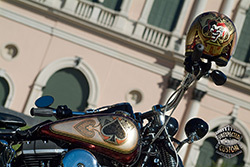 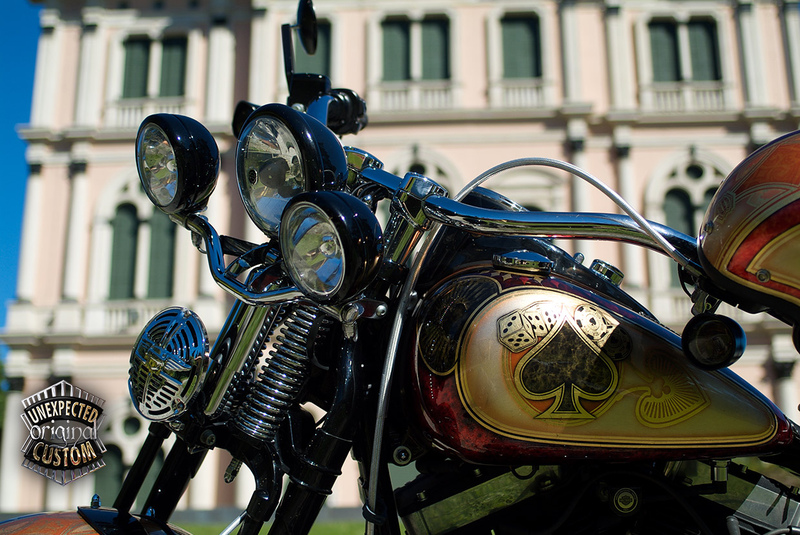 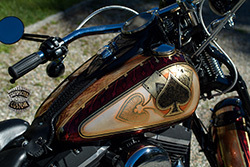 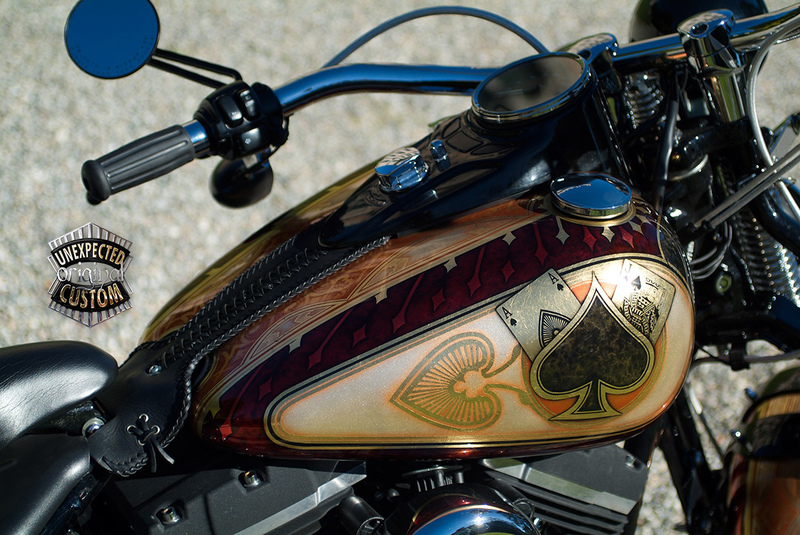 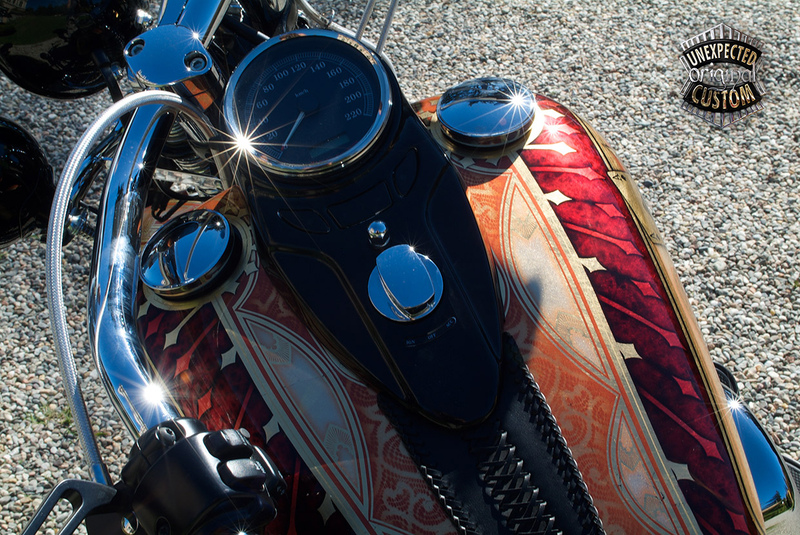 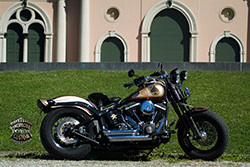 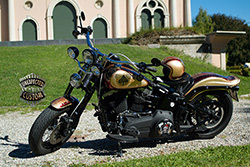 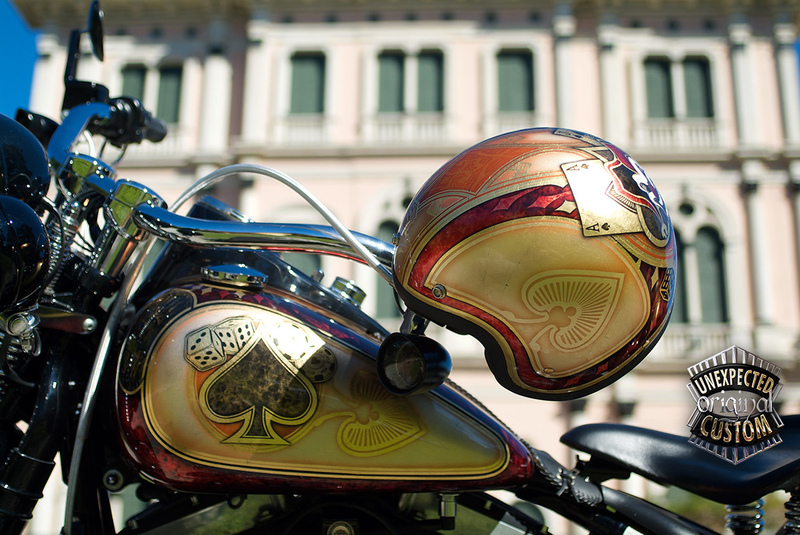 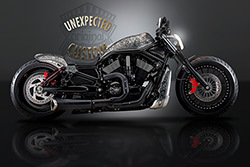 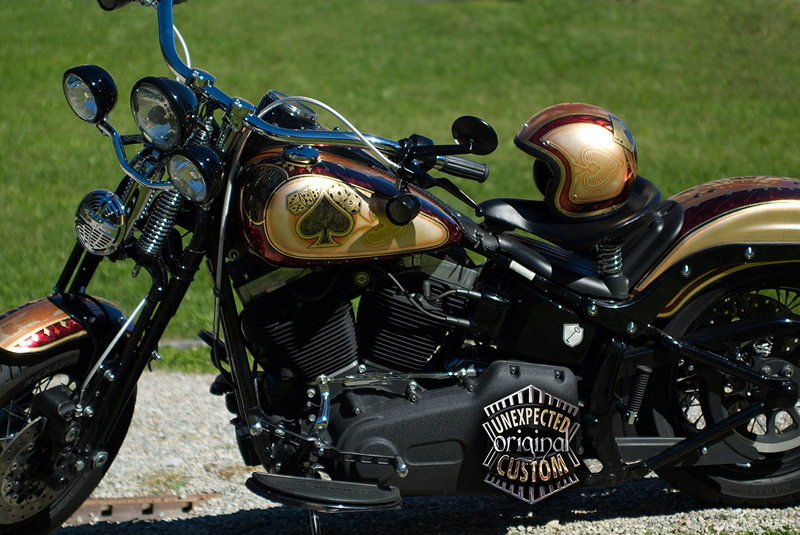 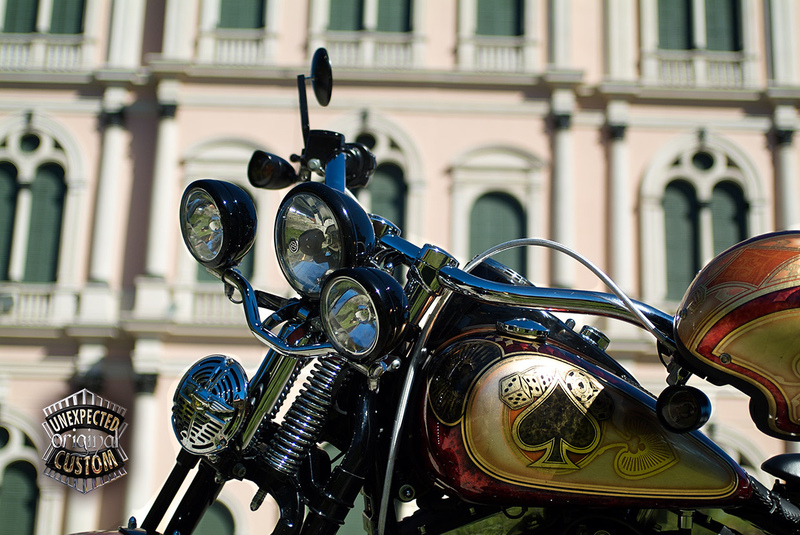 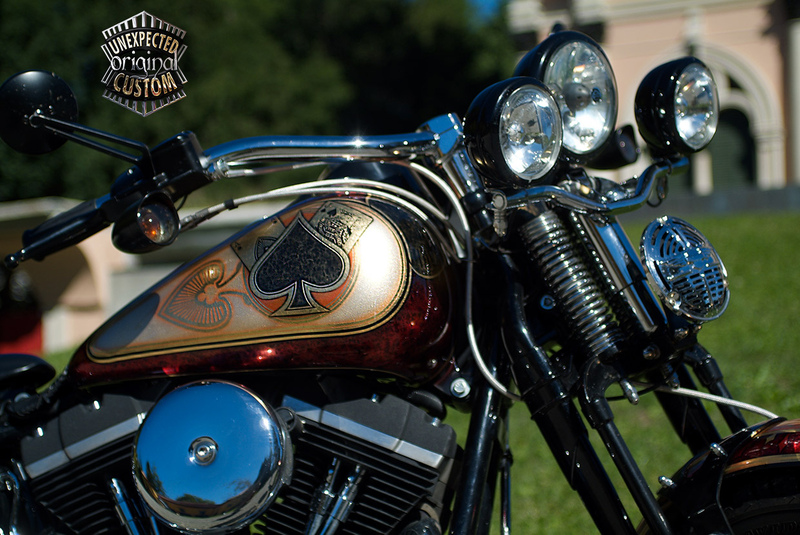 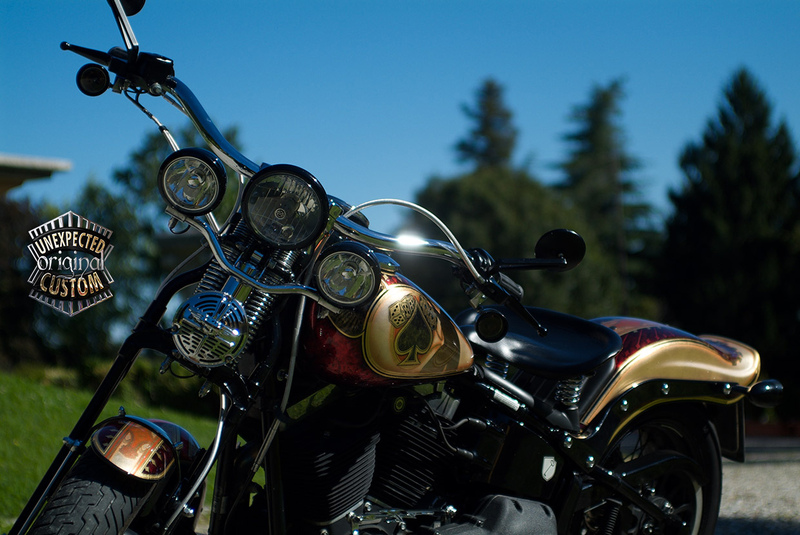 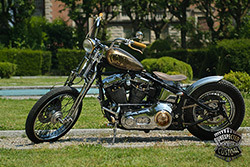 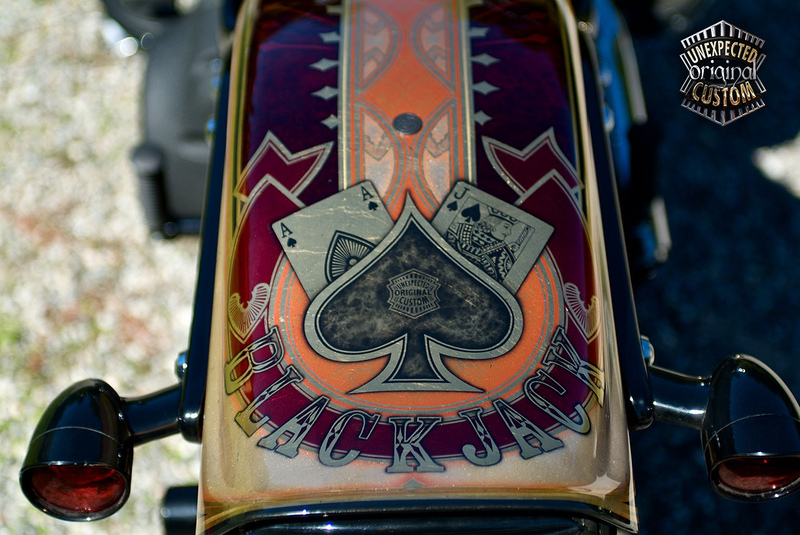 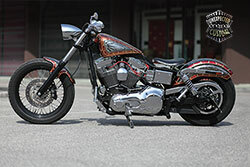 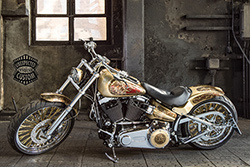 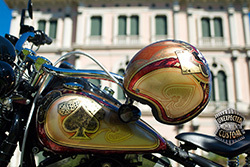 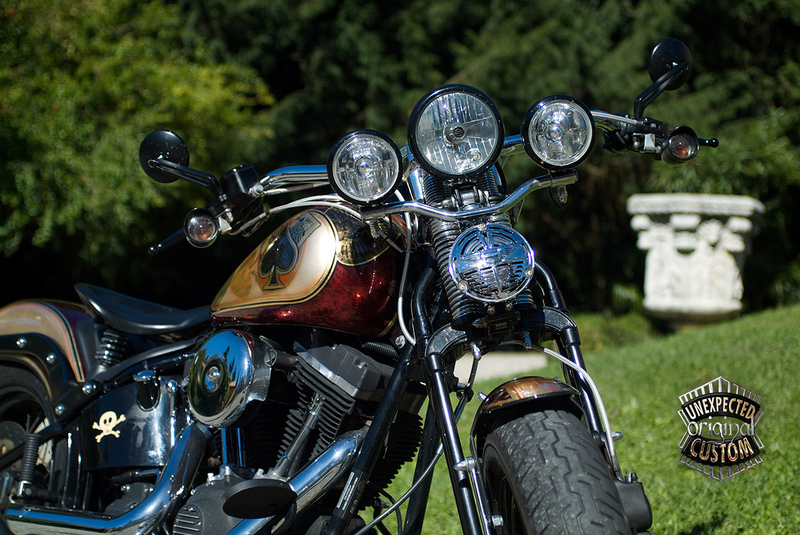 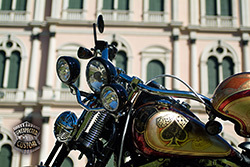 The tank and the two fander of this Harley-Davidson Softail Crossbones are airbrushed and painted with special techniques on a full gold-leaf lamination of the motorcicle's parts. Full of layered transparent glazes, metallic and pearlescent colors each other blended. 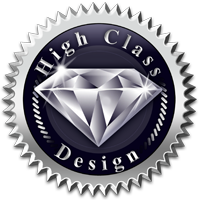 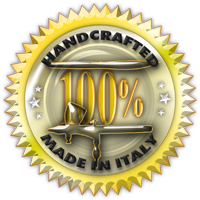 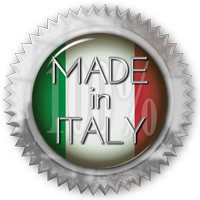 Gold leaf, airbrush, transparent glass colors, genuine nacre powder.